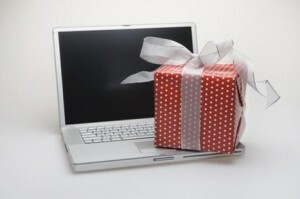 4 Reasons Why I Love to Shop Online During Christmas, and Why You Should Too! 2. I can shop on MY schedule. If can’t sleep, I can still get things done…I can shop. It may be 4am and I might be in pajamas. Heck, I may even be feeding a crying baby a bottle with one hand, as I type with the other. But I do love that I can shop on my time, which is anytime that works. Before I buy anything on the internet I do a search for the title of the store and the words “promo code” or “promotional coupon code” etc. Then I find the right word and plug it in as I shop and get a discount. It is one more step to my shopping process but so worth it. I do not shop without doing this little, quick search before I purchase. No cutting coupons and I still save money. I have found that almost every store has a coupon code or promotional going on at any given time. Did you ever have an idea of what to buy someone as a gift, but then not really know exactly where to find it, or what it even is exactly? So then you aimlessly roam around the mall, to not find what you are looking for but leave with aching legs and frustration. Well, this is why I love the search feature. I can search for a favorite sport team, a scent, even just a color… and bam! Hundreds of “custom” gift ideas pop onto my screen that are perfect for any person on my gift list. So instead of fighting crowds in stores, or looking for a parking space… try shopping online! Happy Shopping! Make sure to check out iMyne (www.imyne.com). Great way for people to shop online as usual, earn money back for themselves, and support a cause at the same time. Also, please take a look at the March Spring Into Action program here: http://www.imyne.com/shop. I’ve got my own list of why I love online shopping as well! I love shopping online, but so many places do not offer free shipping to Alaska or Hawaii because we are ‘not part of the continental US’ – which is not true at least for Alaska. Now, if an item is shipped via USPS priority flat rate boxes, the price is exactly the same. Unfortunately, UPS and FedEx do not have this as an option, even though both organizations have shipping hubs in our state so there is no additional cost for them to ship here. The online stores that ship via USPS or don’t charge extra for shipping to Alaska or Hawaii receive my business. Just an FYI. BUT I’ll keep searching, just don’t want to take to long, the whole point is to not spend a ton of money on shipping! Among many of my other ailments, I have agoraphobia; I also suffer from arthritis and fibro. ALL of my shopping is done online since I so rarely leave the house and if I have to, I’ve had full blown panic attacks. Many of my pkgs come from the USPS. I’m already very friendly with my postman since he’s at our door often. We’ve gotten to know each other rather well – he’s a great guy. Amazon is totally my favorite site. I’m headed now to look for the handybar because amazon told me it was sold out. Thanks for letting me know about that, bydls! Off to online Christmas shopping! I do virtually all my holiday shopping on line or by telephone. That way I avoid the crowds, the Maine winter cold, icey sidewalks and not finding what I want. Mind you, there are some items, such as electronics, that I prefer to buy from the local electronics store and I will go out of my way to do that. But some items I can’t find locally. For example, I was looking for a specific outdoor product, could not find it locally and found it at Cabela’s where the heavy item will be delivered right to my front door. After Christmas, I will check the local sporting goods store to see if it has some additional ammunition as it’s backordered at Cabela’s. It’s a low-power range load. Anyway, leaning on the shopping cart, and in angony with every step, I made it back to where the pattern books are kept, and where the only chairs are. None of the staff offered to get me a chair. There are no other chairs in the store. Fortunately, my good friend is an artist and graphic designerl I needed some material for a special project that I was doing from Victoria Sampler. My friend ran around the store, picking out material and bringing them over to me to check out. I was able to make decisions on what I wanted/needed that way. Had I driven myself, I would have turned around and left the store. Checking out of the place seemed to take forever, and I was in agony the whole time. I had to take pain medicine in order to go to sleep, and then pain medicine to get up and go to class the next day. But I took steps about it. I called the City of San Antonio, where I live, Office of Disability Access, and reported the store for non-compliance with the ADA. I have spoken with the fellow in that office before. He told me that he could take this store on as a case. Then I sent an e-mail to the national headquarters of Hancock, asking that someone get in touch with me. A young man contacted me yesterday. I explained my problem to him. He told me that this was the first time he had heard this complaint. I told him that I was sure that other people had just left the store and never returned. Since I have a Master’s in Social Work, I left to try to be an advocate for all of us. So, I told him what was needed in his store. He explained that he would have Human Resources call me in the next few days to discuss the matter with me. I thanked him for calling me and told him that I looked forward to hearing from Human Resources. Now, I don’t know that my conversation will do any good. But I would like to suggest to all of you reading this that you can be doing the same thing in your community. Your town should have an Office of Disability Services or Accomodation. Call your City Council member or your mayor to find out. Let them know when you find a store that is not meeting the needs of the disabled community. Let the management of the store know when they are not meeting the needs of the disabled community. Sometimes it is ignorance on their part. Sometimes, they need to be pushed to be in compliance with the ADA. There are laws in place for our benefit. Keep op the good work, and the fight. I spend a lot of spoons on the fight! OMG!! R u spying on me?!!?! lol!! This is totally me, I shop online all the time! I hate the mall and I hate crowds!!! Cannot walk around looking forever for something the fatigue kills me! So, yes just search what you were looking for and you find a of plethora things under that catagory!!! LOVE THE INTERNET!! I do a lot of my shopping online. Even if I am going to buy at the actual store, I still do a lot of research so I know exactly what I am going to buy before I go. Online shopping is a life saver! I have done all of my holiday shopping online. With all the sales and promos my dollar was nearly doubled. The kids are going to go crazy. Plus all of my friends came over and wrapped it all for me. Great article! I shop online for everything now, and not just because I have so much difficulty going out. I got tired of paying retail. These points are good all year round. It helps to sign up for the store newsletters and emails because some of the promotional coupons are only on the newsletter mailing list and may last only a day or two, the deep discount ones sometimes work like that. So if you sign up for them from favorite shops you start getting to know their timing and can set some money aside for their promo coupons. Re promotional coupon codes, try retailmenot.